When we think about traditional home offices, we usually visualize a small, dark corner of a house full of wooden furniture and bookshelves. In fact, a small home office shouldn't look like that. It should be bright, cheerful, modern and a functional space that stimulates creativity and the productivity of any person that spends more time in it. 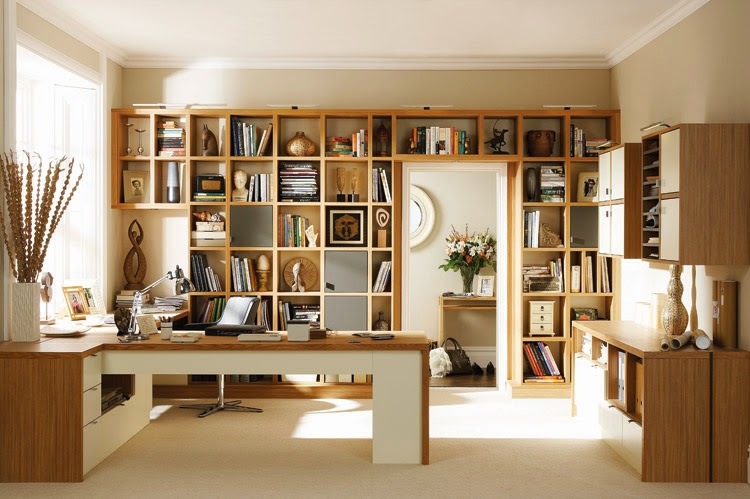 A home office is also a place where your imagination can help you during the working process. With pastel colors and light you can increase your creativity and produce a much productive atmosphere. Windows are also very important because they provide air and light and thus they can have influence on our level of comfort. This area is your own personal space so try to make everything relate to your work or your personality because a good home office should provide you with enough encouragement. Your personal space should have plenty of light and if you want to highlight luxury you should use golden tones on black colored areas. A big table with modern accessories and a stable chair is recommended if you want to achieve more success in your career. Today, home offices come in different shapes, sizes and styles. Some have separate rooms, some are located in the corner of the room and some are even made in small corners of the hallway. You can always find a way to create space for a small home office that can be both stylish and functional. Ultimately, the most important thing about a home office is to create a suitable atmosphere to get the job done. 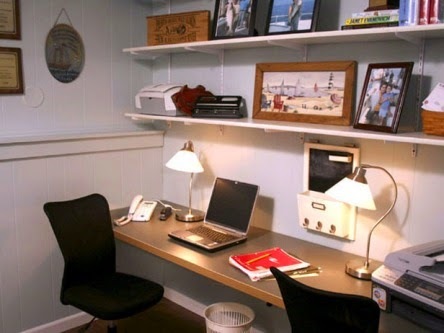 Not all houses have ideal spaces to create a nice home office and a lot of people are limited by the room size. This can make your job more difficult when choosing the right furniture. It is recommended to match the rest of the furniture to the desk and the chair to create a good interior style. If your house has high ceilings it is not a bad idea to divide a room with low screens and ensure enough natural light. A research made by interior experts has shown that a poor working environment creates higher level of stress caused by increased secretion of cortisol. Uncomfortable offices can have impact on the heart rate variability at night and higher cortisol levels in the morning and those two factors are associated with an increased risk of a heart disease. The office furniture should have adistinct style and this means that colors and materials should be in the right correlation. Try to avoid having metal accessories on your desk if you have a bright colored desk. It is not a bad idea to place a small plant on your desk to provide more harmonious ambient. The storage space for books, binders, folders and documents is always a problem so try to find as much bookshelves, cabinets and sideboards as you can. Of course, try to make the right color correlation and if you like things to be more formal look for wooden furniture. 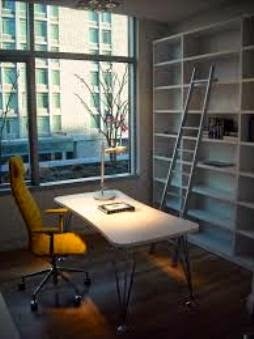 White color furniture can be very useful if you want to visually open up your work space. Acrylic transparent containers for pens, papers, folders and documents will fit perfectly into any style and it can improve the functionality and the efficiency of your small office. In case you decide to create a vintage style office, metal containers will have more impact on the overall look. Some things like jars with colorful candies or fruits can refresh the ambient by giving your office a warm look.